Is Sonam Kapoor Busy Wedding Shopping With Her To-Be Mother In Law? 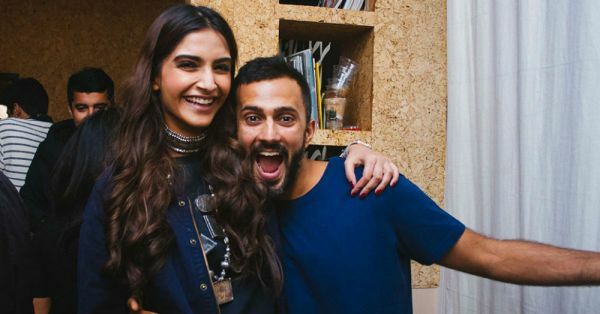 The buzz about Sonam Kapoor's wedding with beau Anand Ahuja is at an all-time high. The couple is all set to have a grand destination wedding in Jodhpur in March and looks like preps are in full swing for the same. Recently Sonam Kapoor was spotted at Raj Mahtani’s jewellery store in Kolkata; the one-stop destination for all brides-to-be. If grapevine is to be believed, she was accompanied by none other than her to be mother-in-law. Well, looks like Sonam and Anand's mom are already bonding well! We can't wait to confirm whether or not these reports are true; but, we sure as hell are hoping they are!